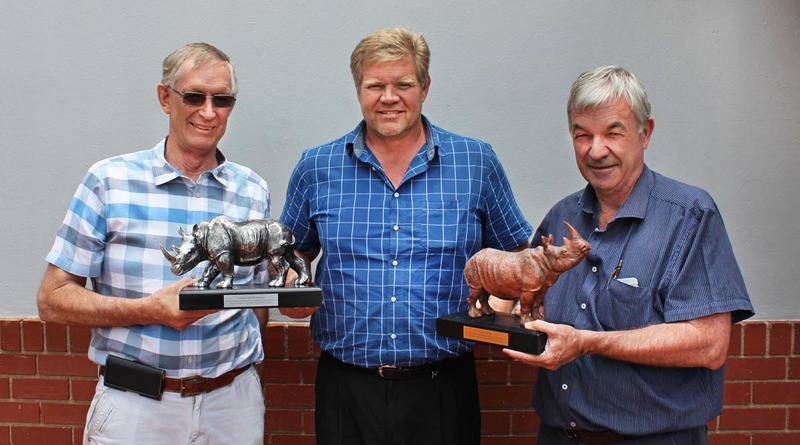 Two board members of SAVF were recently acknowledged for 21 years of service to the veterinary profession through The South African Veterinary Foundation. 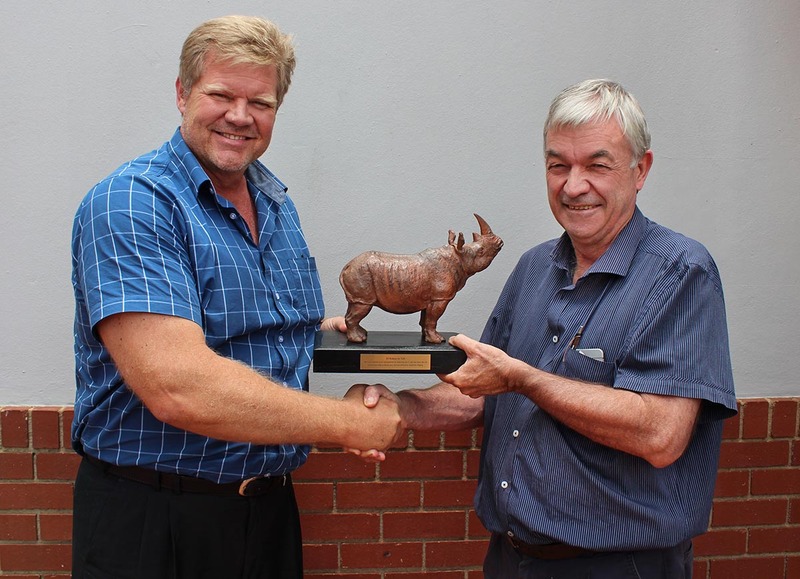 Professor Robert Kirberger and Dr Kobus du Toit have both served on the board of The South African Veterinary Foundation for 21 years. 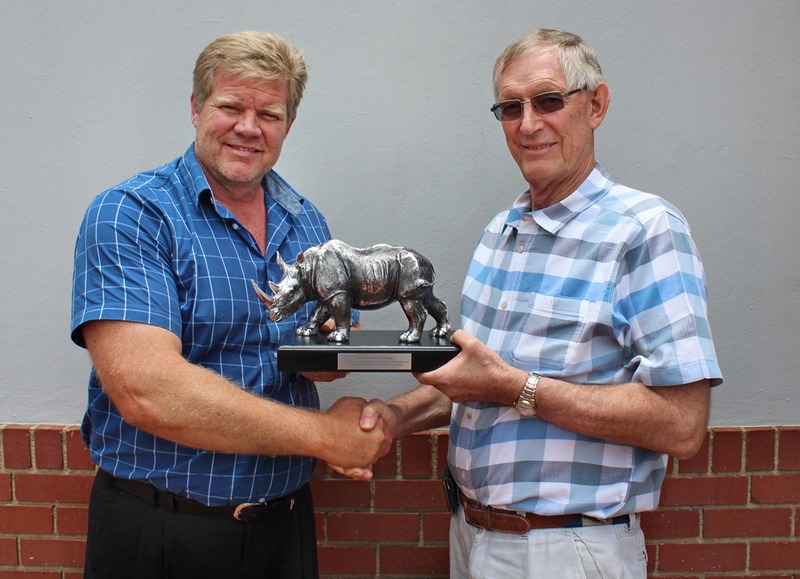 On this momentous occasion they were presented with statues of a white and black rhino respectively by board chairman, Dr Joubert Viljoen. Dr Viljoen thanked them for their long standing dedication and contribution to research in veterinary science, and their support and upliftment of students and communities who have benefitted from funding provided by the South African Veterinary Foundation.